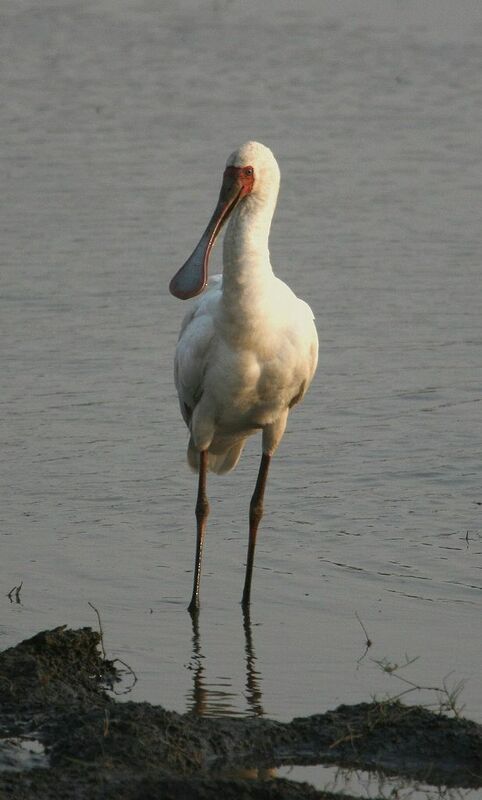 Home » Blog » BIRDING » Dreams of Spoonbills? On Wednesday night I had a brief dream about Spoonbills. I don’t know why, maybe because it was coming up to International Wetlands Day. Who knows? I did however wonder about how one might interpret it. I knew I had seen Eurasian Spoonbills (Platalea leucorodia) and taken photos of them in Ireland a few years ago so I went to look for them in my archives, as I had never published them on Flickr. To my surprise I find that the morning I woke up after the dream was the 4th anniversary of seeing the Spoonbills in Timoleague, back in my native area of West Cork in Ireland. Now that is odd to have a dream about birds the same day four years after you see them. 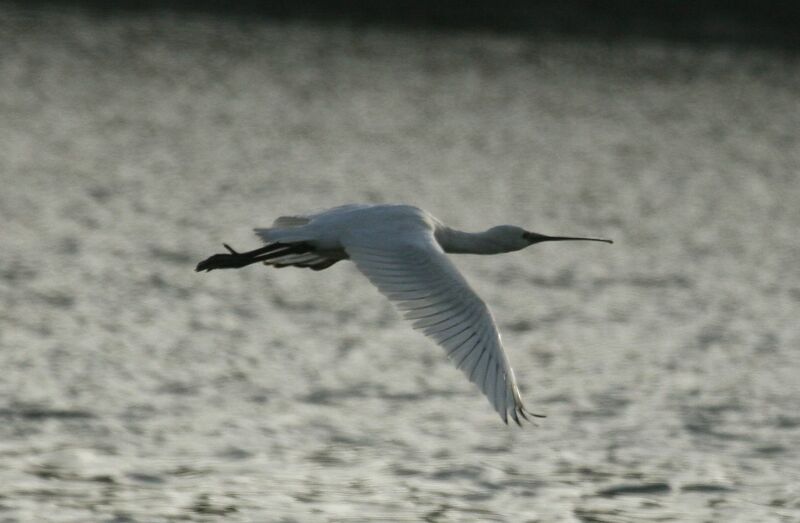 Eurasian Spoonbill (Platalea leucorodia) in flight. The Spoonbill is an unmistakeable bird really, especially when you see the bill. They love mud flats, estuaries and wetlands with shallow waters and silty, sandy or muddy boyttoms. 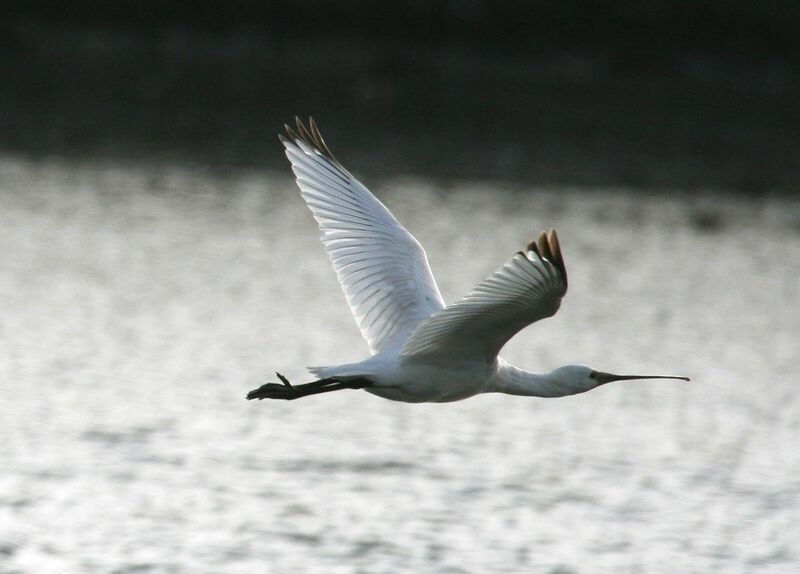 The Eurasian Spoonbill is found throughout the Palearctic breeding all the way from the UK, Spain, The Netherlands, etc. right across to Japan and also North Africa. 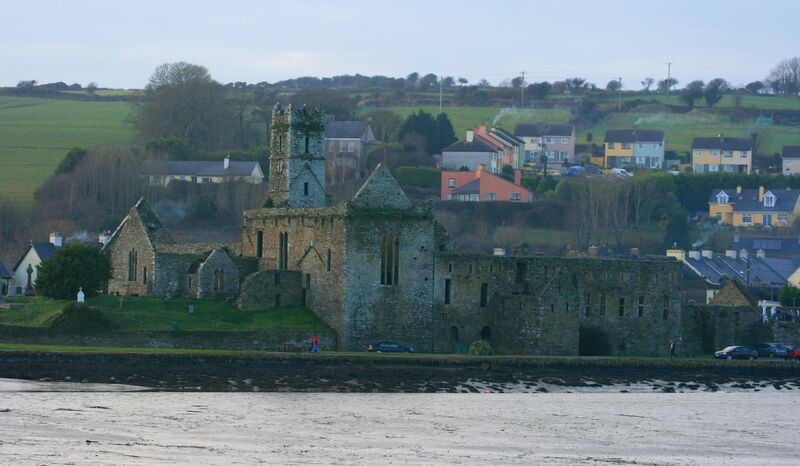 Most European birds migrate to Africa for the winter, however it is not uncommon for some to spend the winter in the northern areas, such as this pair wintering in West Cork in January 2010 near the abbey in Timoleague. I have also seen their cousins the African Spoonbill (Platalea alba) in Botswana where they enjoy similar habitats. African Spoonbill (Platalea alba) in Chobe N.P., Botswana. Here in Castilla La Mancha we have Eurasian Spoonbills and another member of the ibis family, the Glossy Ibis (Plegadis falcinellus) which in recent years has been seen in greatly increasing numbers further north in Europe. 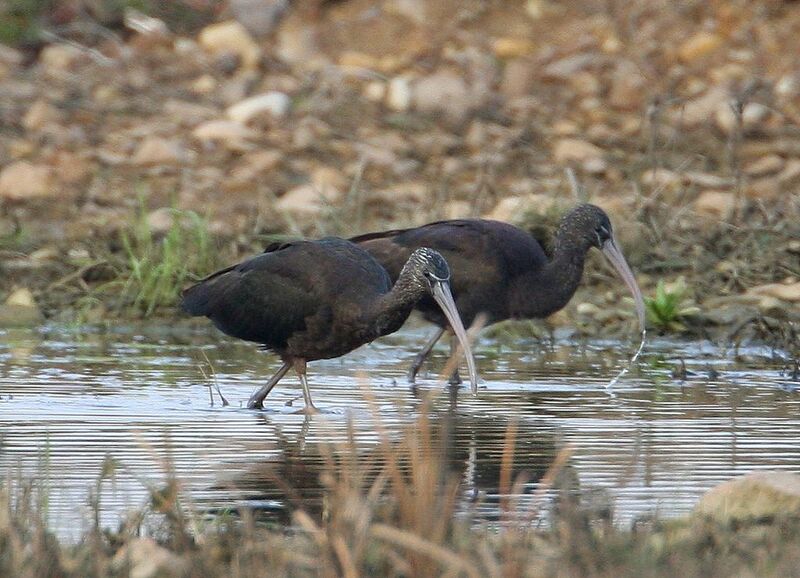 Glossy Ibis (Plegadis falcinellus) feeding. 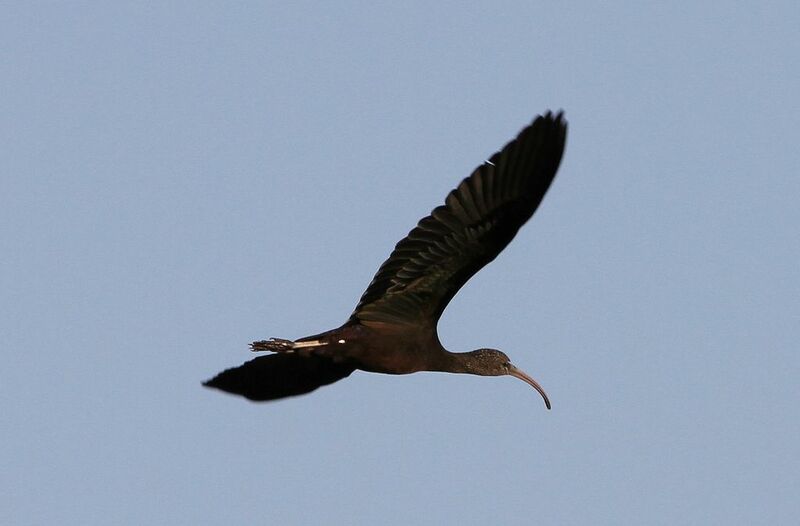 Glossy Ibis (Plegadis falcinellus) in flight. Contact us now at Oretani Wildlife to book your birding tour in Spain and see Spoonbills and Glossy Ibis and many other wetland birds.